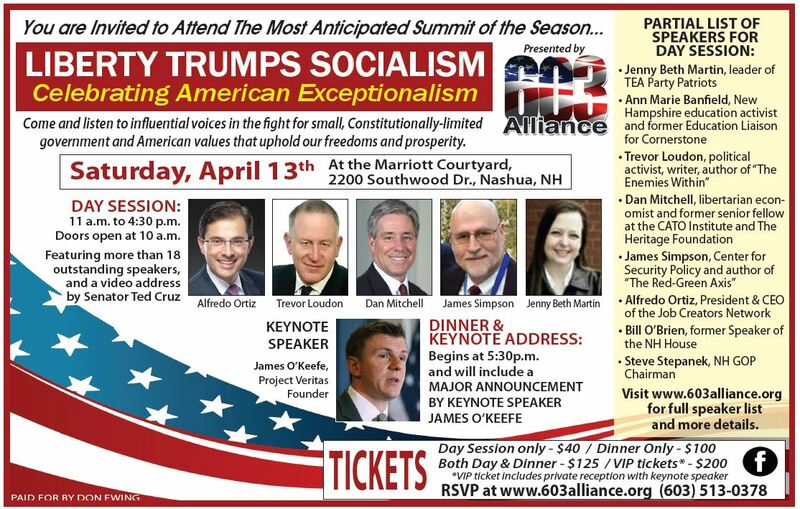 CLICK HERE to get your tickets to the “Liberty Trumps Socialism” Summit on April 13th! Previous PostMore Speakers Confirmed for the Liberty Trumps Socialism SummitNext Post603 Summit Success! !